Friday Hours: 8 a.m.-5 p.m. | Saturday Hours: 8 a.m.-1 p.m.
All are welcome for this celebration of handcrafted treasure ~ perfect for your Holiday Shopping! The Time and Talent Crafters meets on the 2nd and 4th Thursdays and Fridays of the month. Just as the motto of Peace Lutheran goes, “All are Welcome” with the group. Whether you sew/quilt, knit, crochet, cross-stitch, or just want the fellowship of others – come! Initially, a group of quilters gathered in the bright, roomy education room to sew together. New folks were encouraged to come – novices learned to sew, beginners received tips and encouragement. Soon people with other talents joined the group. 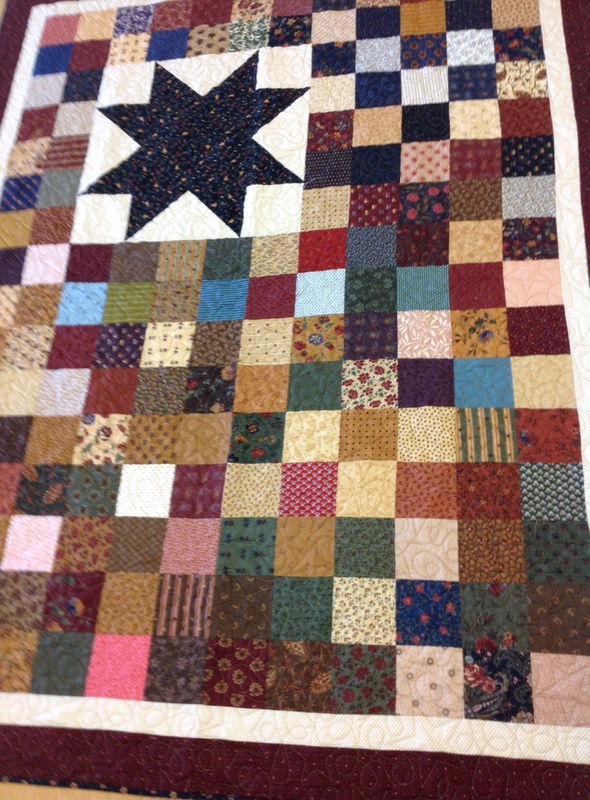 The group combined their talents to make two quilts for Sugar Creek auctions and from the beginning made rag quilts for the congregation’s high school graduates, starting in 2011. The group has made fleecy dog beds and blankets for Chasing Daylight Animal Shelter and hope to expand that activity in the future. They also look forward to expanding charitable outreach in other ways. In the spring of 2014, the group coordinated the “Time and Talent Marketplace,” a congregation-wide effort that showcased the creative talents of all members of the church. The event raised funds designated for scholarships for Sugar Creek and other youth activities. The sanctuary walls and tables have been adorned from early on with seasonal quilts and table runners made by members and friends of Peace.